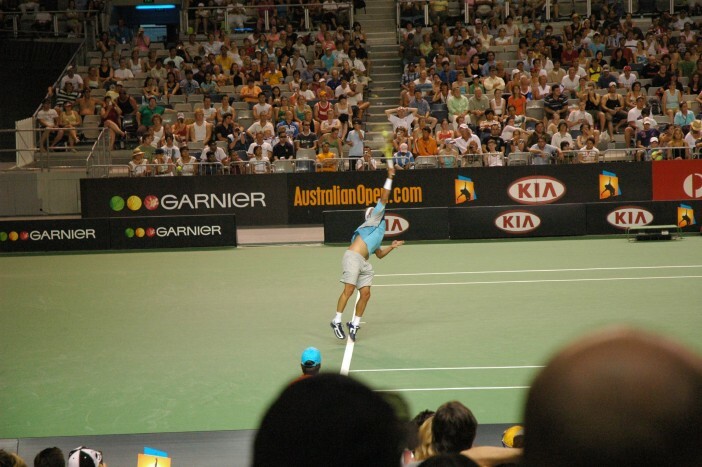 P&O’s Australian Open cruise is always a highly anticipated event in the cruise calendar. No wonder the announcement of this year’s events line-up has caused such a stir! Australian Grand Slam champion Ken Rosewall will be sharing his top tennis tips and posing for photo opportunities. Olympic Doubles champion Todd Woodbridge will also be lending his expertise, and is hosting a breakfast in Melbourne where cruise goers can meet the athlete and quiz him about serves, singles and everything in between. As always, the cruise will be themed everything tennis, with on-board trivia giving you the perfect chance to show off your knowledge, table tennis giving you the perfect chance to show off your serve, and Wii Tennis giving you the perfect chance to show off your wrist action. The five night-roundtrip departs on the 19th January 2017 and includes a two-day admission pass for Melbourne park, where you can watch the professionals up close and personal, rather than from your couch at home. Thanks to the exclusive Tennis Australia partnership that P&O boasts, you can also upgrade your ticket to the Rod Laver Arena or Margaret Court Arena if you’d like the view to be even better. What’s more, you’ll arrive there in style, with the Pacific Pearl offering the best in high class, luxury accommodation, dining and entertainment. All meals are included, with the chance to upgrade to a fine dining experience if you are celebrating a special occasion, or just want to feel like a celebrity for the night. The Pearl has several beautiful pools, so you can soak out all those tense muscles after a night of intense Wii Tennis. Several tranquil spas also offer you the chance to relax fully, with whirlpools, massage and other luxurious treatments. In the evening you can also enjoy live comedy, theatre, nightclubs and cinema, with the on-board cocktail night being legendary among Australian Open veterans. At Cruise1st Australia, we have loads of amazing deals for everyone from tennis aficionados to people in search of sun, sand and adventure. From tropical beaches to vibrant cities, we have something to suit every traveller’s desires. The luxurious ships have a dedicated staff, on hand to serve, delight and entertain, so don’t hesitate to book your cruise now and travel in the lap of luxury to your chosen destination. Visit the Cruise 1st Australia website to browse our amazing deals, or call our dedicated sales team on 1300 857 345.